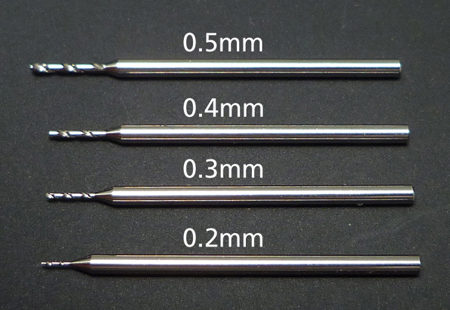 ★These drill bits are perfect for making high-precision holes. 1mm in diameter, they are durable and easy to use, and feature a special finish to prevent snapping. ★Fit snugly into pin vises and offer very minimal deviation for a true hole. ※Recommended for use with Fine Pin Vise D and Item 74112 Fine Pin Vise D-R. The information on this page is current as of September 9, 2013. Specifications are subject to change without notice.